Special ADD scripts and Attention Deficit Disorder scripts. Attention Deficit Disorder sales scripts. Attention Deficit Disorder sales scripts are now available. ADD salespeople are terrific at sales & marketing jobs especially if they use a Smooth-talker ADD sales scripts. The reason for writing scripts for salespeople with attention deficit disorder is that they need "visual reminders" to reach their potential. Attention Deficit Disorder sales scripts are priced at $97.00. 60 pages of dialogue that you can access at a glance. 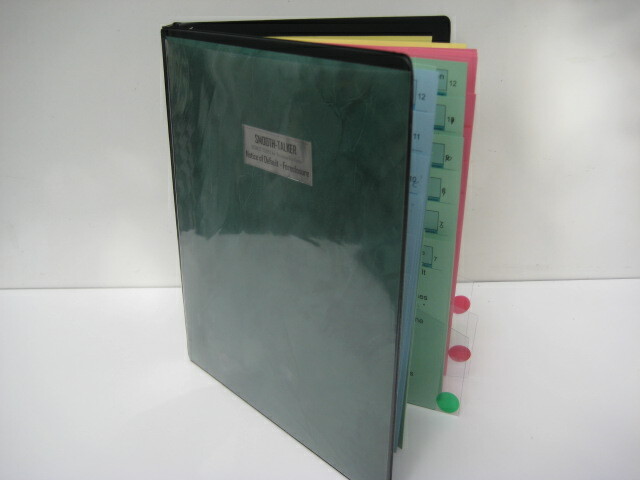 binder plus 4 plastic section flippers. Includes a 24 page Instruction Booklet about how to use the scripts. A "script writing kit" to write your own additional prospecting scripts. ADD sales scripts are written for efficiency. They are specifically written and must be ordered in person. ADD sales scripts have a certain way to say things so that sales people with ADD can fluently deliver the dialogue instead. Smooth-talker Sales Scripts is the only producer of Attention Deficit Disorder sales scripts and prospecting scripts for ADD. ADD and Attention Deficit Disorder salespeople are special. Attention Deficit Disorder salespeople have a special style to them that is best described as “one of a kind." The sales scripts for sales people with ADD contain wording that is intended to lend rythem and cadence to the dialogue. Attention Deficit Disorder salespeople have a special style to them that is best described as “one of a kind." The prospecting scripts for ADD contain wording that is intended to lend rythem and cadence to the dialogue. That's where Smooth-talker Sales & Prospecting Scripts can help. If you can find a way to overcome these obstacles, you can have some of the best salespeople on earth! They're afraid of the "rejection" so they procrastinate and they put-off making calls. The fear of momentarily saying the wrong thing ... which is called a mental block. They forget what to say because ADD clogs your mind with other stuff. Opens up opportunities for hiring these special people. By having a prospecting scripts for ADD, a salesperson who has every quality except speaking ability can now be a candidate for a sales position. A sales manager and sales trainer now has a tool for training a salesperson that has every quality except that they never learned to speak properly. We developed a prospecting script that is placed in front of you when you make calls. We needed a fool-proof methed of viewing the sales script for ADD. One that would be suitable for easy viewing. We insisted that such a binder would have to be a “no-brainer” to use. Put it in front of you and it's ready. It does't matter where you put a prepared response ... the real question is, "how quickly" can you find it when you need it. Sales scripts for Attention Deficit Disorder help get an appointment with complete strangers to buy their products & services, list their home, pay a commission and invest their money. A beautiful custom 3-ring binder to hold the scripts is standard. It is strudy enough to stand up to daily use. Because the pages are "stagger-cut" you can view 12 pages at a time. The "plastic section flippers" are labeled in Green, Red, and Yellow to easily spot the section you need. Includes a 24 page Instruction booklet which shows you how to use your new sales script. It has instructions for personalizing the dialogue to suit your business. It shows you how to write a 1-liner and attach it to the script. When you learn how to write a prospecting, the dialogue will be your own style and will reflect your personality. As an added benefit, when you write a sales script, you’ll be able to remember the words more easily because you chose them in the first place. Includes a "Script-writing Kit." The script-writing kit shows you in great detail how to customize your ADD prospecting script. You will be able to compose a "1-liner" that is brief yet gets your point across with diplomacy and hard-hitting words & phrases that communicate your message. Instructions on how to personalize the prospecting script for selling your products and services. There are 10 extra pages printed with blank headings for writing your own additional scripts. 4 clear plastic "section-flippers" to find the right color-coded sections. 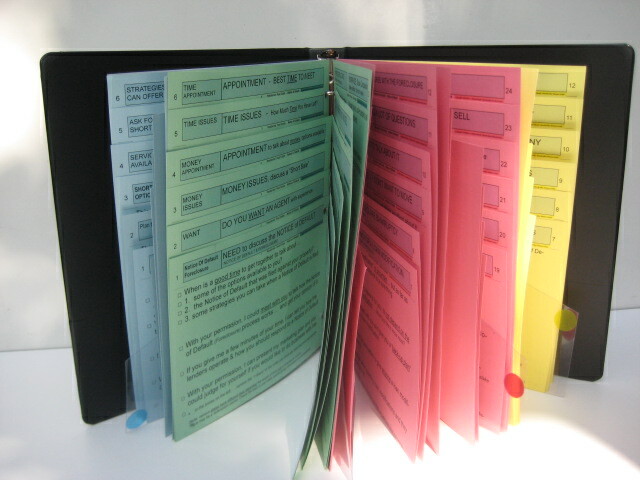 Plastic section flippers and are labeled in Green, Red, and Yellow to easily find the section you need. They are a quick way to spot the section that has the dialogue you want. Just flip to a section and choose "1-liner" and read it to the prospect. 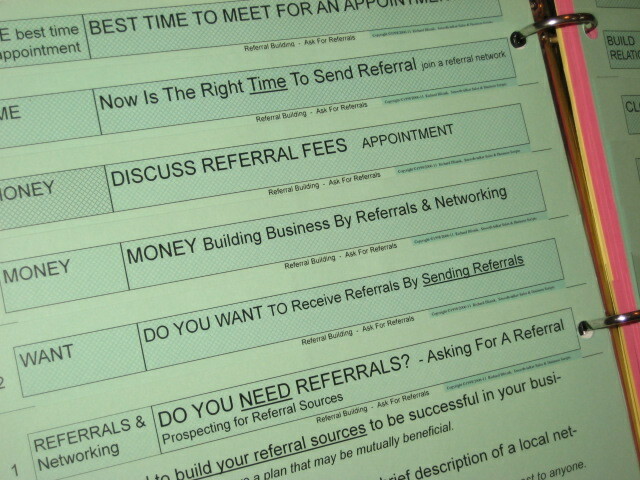 ADD sales scripts are color-coded for effeciency. The script uses the same colors as a "traffic signal." Printed on Green, Red, and Yellow 90lb. card-stock. 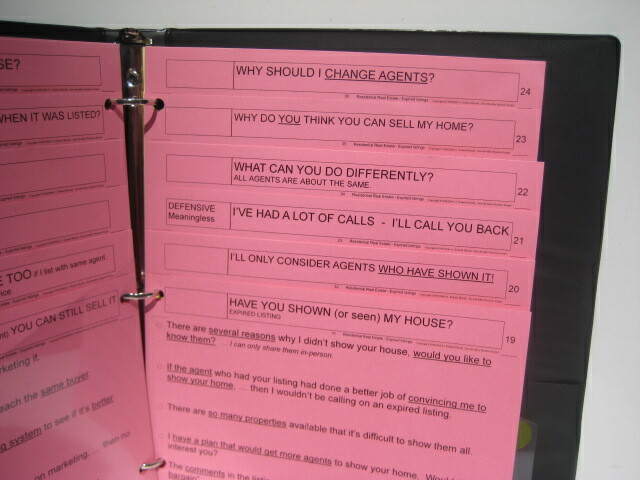 The color-code is the most important element in locating an appropriate line of dialogue in the prospecting script. I found a solution to the age-old problem of how to organize a prospecting script. The most important aspect of making a prospecting call is finding the right words to use immediately. Color-coded Attention Deficit Disorder prospecting scripts enable you to make more effective prospecting calls. 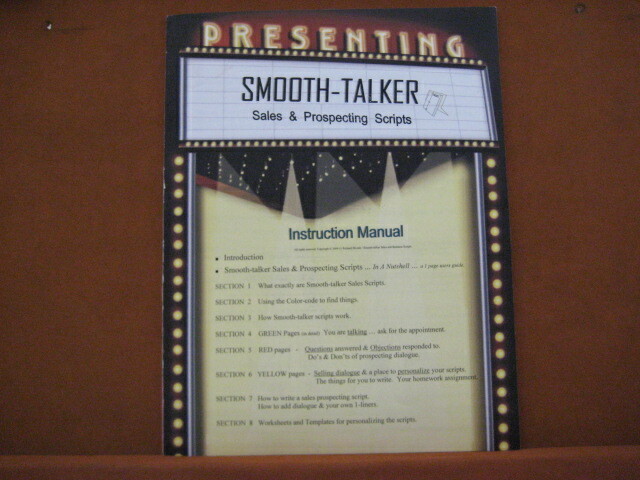 Smooth-talker sales scripts are designed to incorporate an easy way to navigate the scripts. We wanted to add some semblance of order to the basic components of communication. Extra-large print is easier to read. Smooth-talker Attention Deficit Disorder scripts are designed ergonomically to be at your fingertips. A prospecting script is user-friendly if it can be read at a distance of approximately 24 inches and has large type size of 16-18 point font. You can view up to 12 pages at a time. Smooth-talker sales scripts for attention deficit disorder feature a flip-over format. You can choose from any one of a dozen page-headings at a time. To do this, a method of "staggering" the pages was chosen. Six pages per side was decided upon because we found that the "eye" had difficulty in deciphering any more than that. That way a total of twelve pages could be viewed when the binder was open. The author was diagnosed with Attention Deficit Disorder so he knows how to write ADD scripts. I happen to know what you are going through. Having been diagnosed with ADD at 50 years of age, I look back on my life and can trace the symptoms of ADD from high school, college, and my career as an entreprenuer, real estate broker, sales manager, and trainer. Believe me when I say that the positive attributes of ADD such as creativity, quick thinking, and a charming personality have enabled me to be a successful. 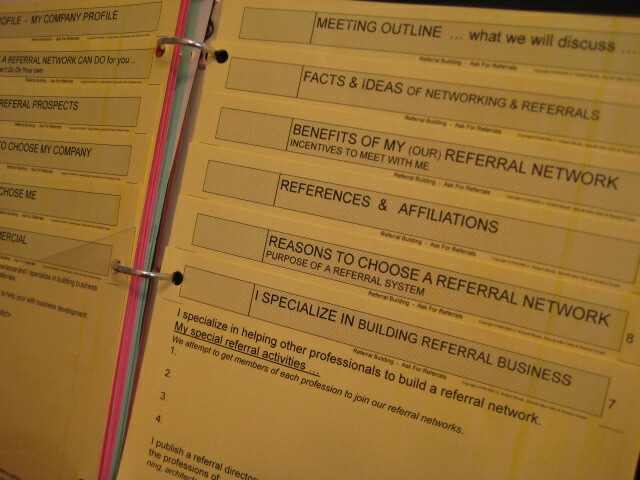 I discovered that having a physical script was essential to prospecting. Oh how I wish I had developed the sales scripts for attention deficit early in my career! These scripts are available by special order. They are also available with our consulting services. Writing a script for the hiring the handicapped can be rewarding. No one else cares about these people. The rewards are that they are grateful for the opportunity and will be loyal dedicated employees. It'll make you feel good that you can help someone who is less fortunate. Virtue is its own reward. Sales scripts for seech impaired salespeople can be successfully trained to prospect by phone if they are provided with a specially designed script such as an s speech impaired sales script. It is a process of distinguishing the words that the person might be unable pronounce. It is then possible to substitute words that they do have the ability to pronounce. 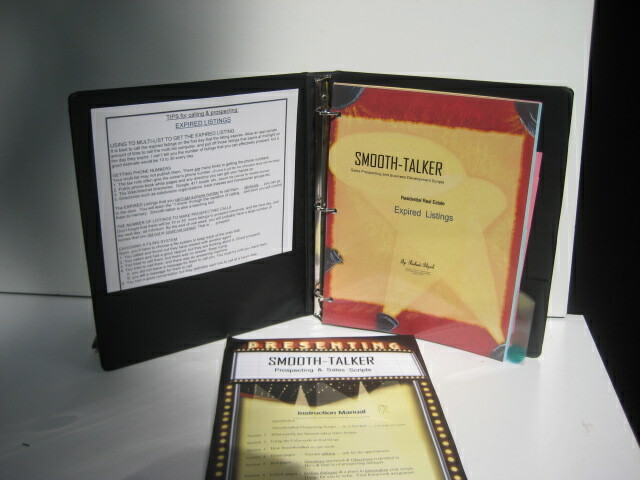 Smooth-talker has taken the basic ideas and adapted them to create scripts for people with Dyslexia. It is important to understand the difference between regular sales scripts and special purpose scripts for sales people with Dyslexia. You have to have prepared with scripts written for people with Deslexia.